Finals are over, virtually all the students have dispersed for the holidays, and as the year draws to a close, it’s the perfect time to look back at the past year in the life of the university. As the old song goes, it was a very good year, and you can read about it by the numbers here. And as you might expect, we ended the year the same way we started it – enthusiastically advancing on all fronts. UCI is an exceptional, world-class university thanks to the scholarly achievements of our talented faculty. 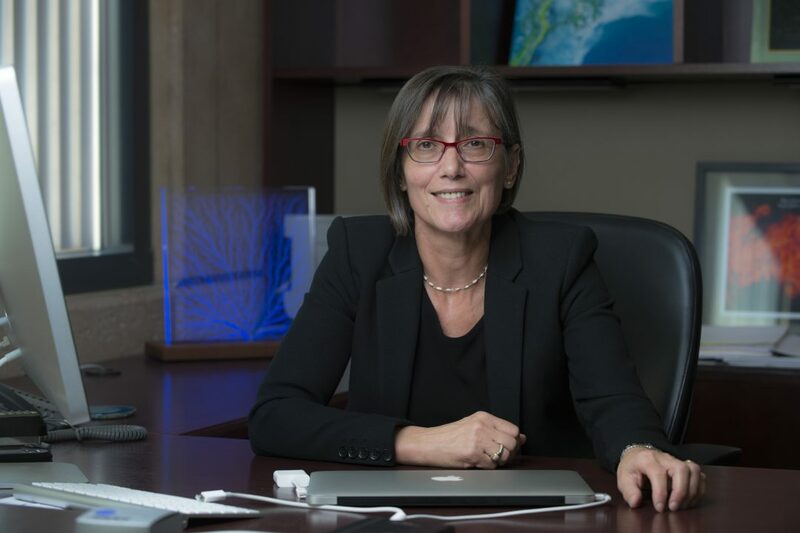 Recently, 10 of these remarkable researchers were elected fellows of the prestigious American Association for the Advancement of Science, an honor bestowed on AAAS members by their peers. They are Christopher Barty, professor of physics & astronomy; Suzanne Blum, associate professor of chemistry; Adriana Briscoe, professor of ecology & evolutionary biology; Kieron Burke, professor of chemistry; David Eppstein, Chancellor’s Professor of computer science; Efi Foufoula-Georgiou, Distinguished Professor of civil & environmental engineering; Kenneth Janda, dean of the School of Physical Sciences and professor of chemistry; Craig Stark, professor of neurobiology & behavior; Lizhi Sun, professor of civil & environmental engineering; and Kathleen Treseder, the Francisco J. Ayala Chair in Ecology & Evolutionary Biology. With the addition of this year’s class, UCI now has 160 fellows in the association. Congratulations to all the new fellows! Carrie Menkel-Meadow, Chancellor’s Professor of Law, has been named the 2018 recipient of the American Bar Foundation’s Outstanding Scholar Award. 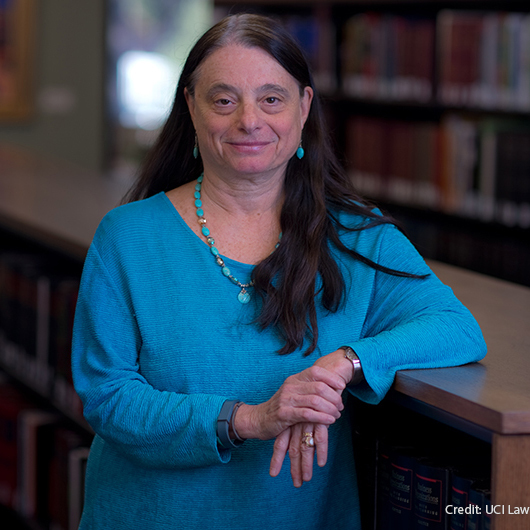 The honor, which will be bestowed in February, recognizes her decadeslong work in creating, building and shaping the field of alternative dispute resolution and her major contributions to studies of the legal profession and feminism. Professor Menkel-Meadow is a founding faculty member of the School of Law. Congratulations! At UCI, our researchers devote their lives to solving the world’s problems. Recently, the campus received a $7.8 million federal grant to explore the link between family income and early brain development. The study will encompass 1,000 infants in four communities around the nation. 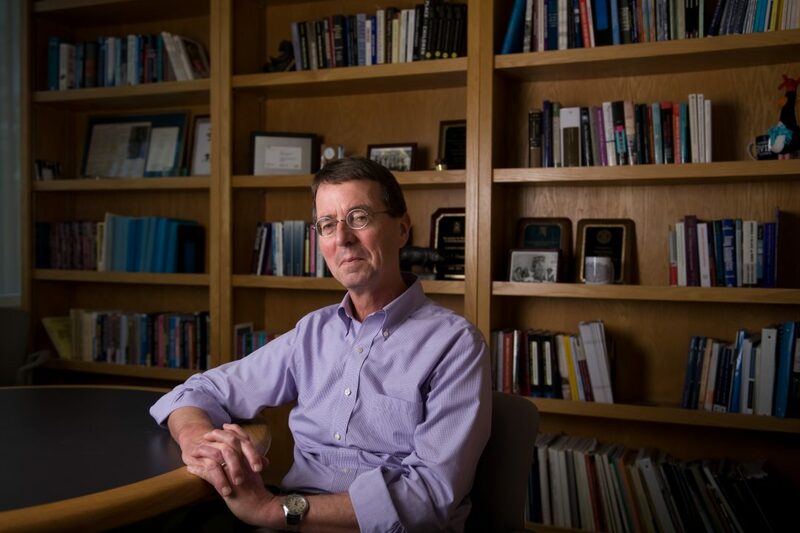 Greg Duncan, Distinguished Professor of education and co-principal investigator on the study, expects the results to provide clear evidence about the magnitude and nature of the correlation between higher family income and improved cognitive function in young children. The findings will inform a host of federal and state policy proposals. One of the distinguishing hallmarks of our exceptional faculty is the desire to work with colleagues in other disciplines to develop new fields and new ways of looking at existing fields. Magda El Zarki, professor of computer science and director of the Donald Bren School of Information & Computer Sciences’ Institute for Virtual Environments and Computer Games, and Patricia Seed, professor of history, collaborated with Jessica Kernan, a game designer at the institute, to create the computer game Sankofa, which follows a character through a market in 18th-century Asante (now Ghana). Gamers experience the West African country through the folktales, cultural practices and daily activities of the Asante people. The game is designed to be used in a classroom setting to help teach African history. The Claire Trevor School of the Arts and the Francisco J. Ayala School of Biological Sciences are collaborating on new ways to teach acting. In drama lecturer David Ihrig’s class, faculty fellows of the Ayala School’s Center for the Neurobiology of Learning & Memory – including world-class neuroscientists James McGaugh, Gregory Hickok and Elizabeth Loftus – discuss topics such as how to efficiently “create” memories for characters, how characters would realistically respond to onstage stimuli based on these memories and how to manipulate emotions physiologically. This is the first of many planned partnerships between the arts and the sciences at UCI. The Mesa Court Towers freshman housing complex, which opened in fall 2016, has been selected as the 2017 Project of the Year by the nation’s leading design-build association. 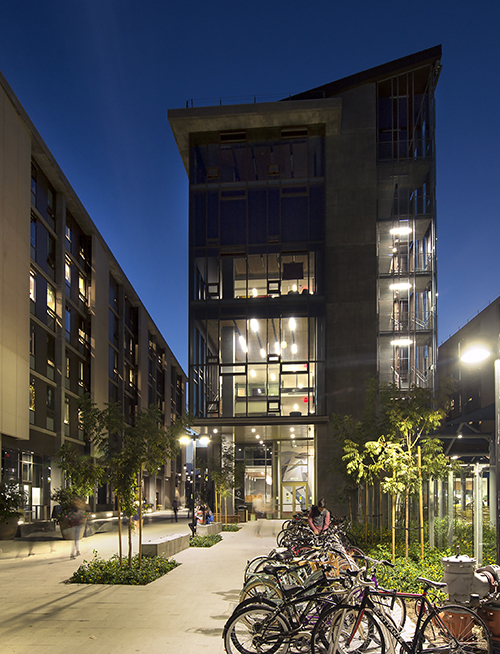 The Design-Build Institute of America hailed UCI’s newest residence halls as a “state-of-the-art, dynamic community hub ... relegating the very idea of dorm living to the dusty pages of old college yearbooks.” The DBIA award recognizes beautiful design as well as exemplary execution of the whole project, from design through construction. If you haven’t seen Mesa Court Towers, it’s worth a visit. I'm always impressed by the passion and commitment of UCI’s athletes, whose devotion to their sport requires them to dedicate long hours to practice and match preparation, all the while pursuing a rigorous course of study. It’s especially gratifying when their hard work and sacrifice are recognized with postseason play. 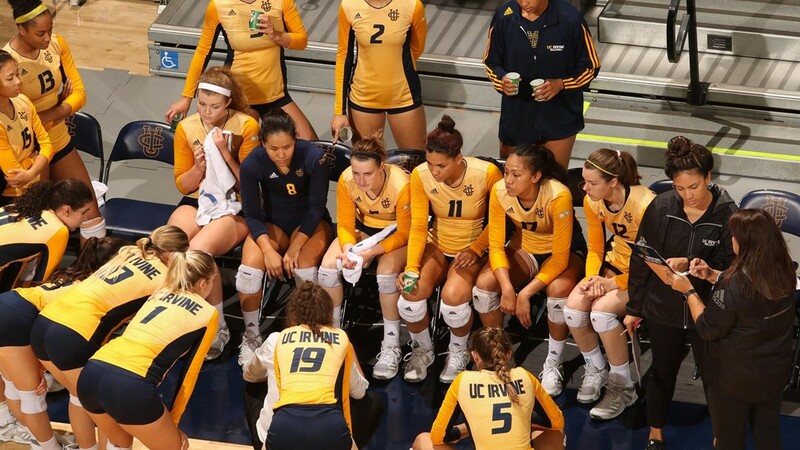 Our women’s volleyball team enjoyed a record-setting season, tying the school mark for wins, and was selected to participate in the National Invitational Volleyball Championship, where it won two matches, also a UCI record, before gamely falling in the quarterfinals. This was the team’s first postseason play since 2004, and these young student-athletes made us all proud with their skill and effort. Congratulations to Head Coach Ashlie Hain ’04 and all the players! 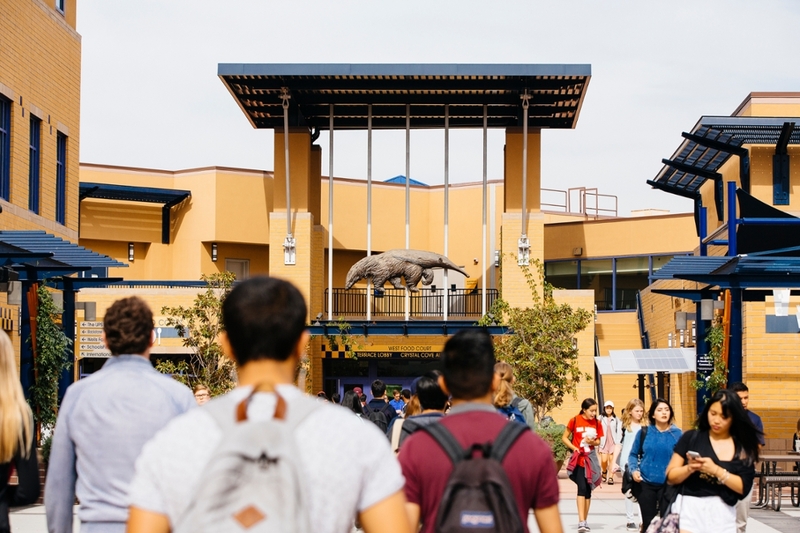 Finally, I am delighted that 10 outstanding community leaders and dedicated Anteater advocates have agreed to join the UCI Foundation, which is responsible for raising and managing private funds that support our mission of excellence in teaching, research and public service. The new trustees are Carol J. Choi ’85; Eugene W. Choi ’86, MBA ’01; Kate Duchene; Kristen S. Monson ’82, MBA ’86; Sheila K. Peterson; Susan Samueli; Kathleen R. Santora; Mark K. Santora; the Honorable Sheila Prell Sonenshine; and Joseph A. Walker. The UCI Foundation now has 53 voting trustees, and their advice, counsel and expertise will be invaluable as we move ever forward in all that we do to make our community and our world better places to live and work. The holidays are a time for reuniting with family, renewing friendships, and rest and relaxation. I wish you peace and joy this festive season and throughout the new year.